George Phillips has held many successful one-man exhibitions as a realist artist in Australian capital cities. George Phillips was born and educated in Melbourne. 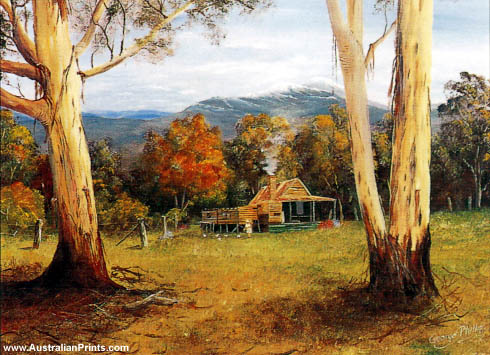 In his early years he studied under Bill Phelan, one of the old Australian Masters and a member of the Victorian Artist Institute. Travelling extensively throughout Australia, Phillips became fascinated by the never ending changes in the mood of colour and light. He is a man of many careers. In his early days he was a wool classer, but as a family man he was not content with being away from home for long periods so he studied engineering and became a consultant to the profession. 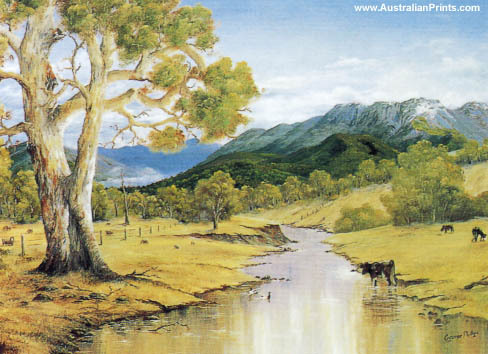 In 1972 he commenced painting professionally and developed his own particular detailed style. Beginning early in life Phillips developed his skill initially in charcoals and pastels, then branching out into other favoured mediums. He has a record of successful one-man exhibitions as a realist artist in Australian capital cities. His paintings are eagerly sought after and are in collections in Australia, China, England, Germany, Hong Kong, Japan, New Zealand and the United States. Artist information page for George Phillips.